No posts since Tuesday. This blog has been neglected. After a good night’s sleep, I’m back at it today with a story about the dream I had last night. I often have pretty vivid dreams — the kind I can remember the next morning. This one, however, was weird even compared to the mini-movies I often enjoy while sleeping. I dreamt I was living in Muscatine and working on a project with the Stanley Foundation for some kind of reality-TV series. 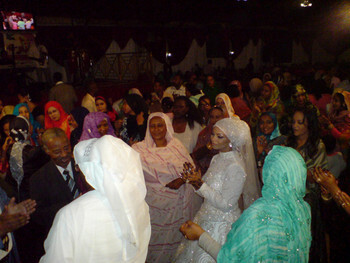 It involved a project in which we ultimately decided to plan a wedding in Muscatine for someone from the Sudan. There was the usual reality-TV drama plus the difficulty of working with people I didn’t really know to overcome unfamiliar challenges. I don’t know what it means except that maybe I’ve been watching too much TV. Speaking of TV, the broadcast of President Barack Obama doing a question-and-answer session with Congressional Republicans should have been required viewing. I hope it becomes a regular part of our Democracy. It couldn’t hurt if they’re made to actually talk with one another. Maybe both sides would even start to listen. If nothing else, it should put to rest the criticisms that Obama can’t speak without a TelePrompter. But I’m not holding my breath. I certainly agree with your comment regarding the meeting of the two parties although I am a “yellow dog” Democrat once in a while a moderate republican does make a useful comment or suggestion.